Miss Parrot, the headmistress, Mrs Jo Westwater nee Taylor, juniors, Joyce Coleman, infants, and Miss Miss Lily Marshall. 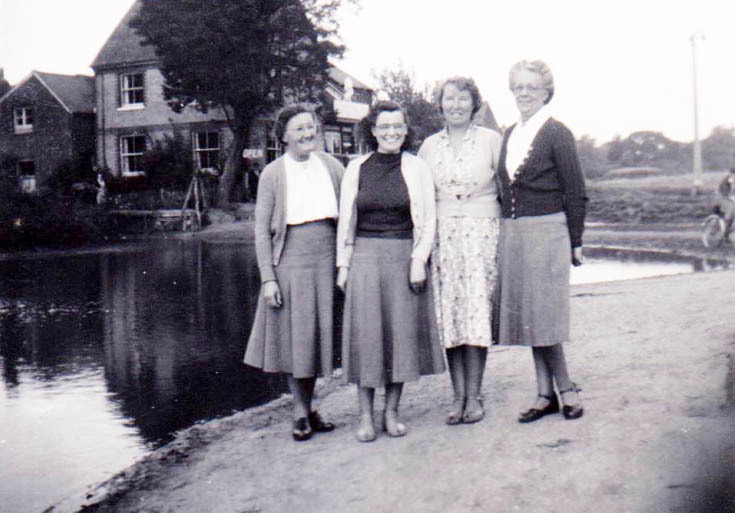 Miss Marshal lived with her mother in the last little cottage, pond side. When the house were demolished she went to Tattenham Corner. Joyce Coleman was my mother.